Here is a fun urdu poem about professions that my daughter and I shared at our weekly Urdu Story Time. This song is called “Aap kya banana chahtay hain” (what do you want to be when you grow up). Children can learn the names of many professions in Urdu and the importance of hard work. You can use this Urdu poem about professions at home or at your school when you talk to children about careers. They can also learn about good work ethics through this song and the importance of kindness. App kay liay kitne raastay hain? Pyar jo karay na ho maghroor. 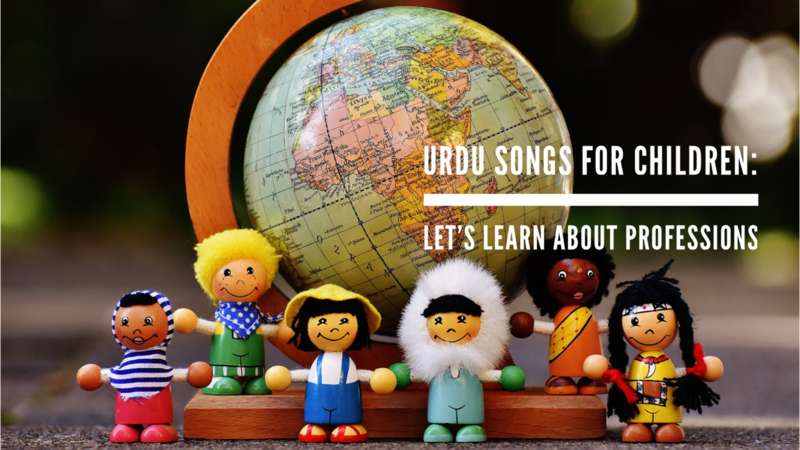 We do many fun songs and stories in Urdu to help build your child’s interest and vocabulary. We would love to hear how you and your little ones enjoyed this Urdu poem about professions. Next Post Sange mar mar: Predictions for the next episode? this is such a catchy song I caught myself humming to it while at work today!